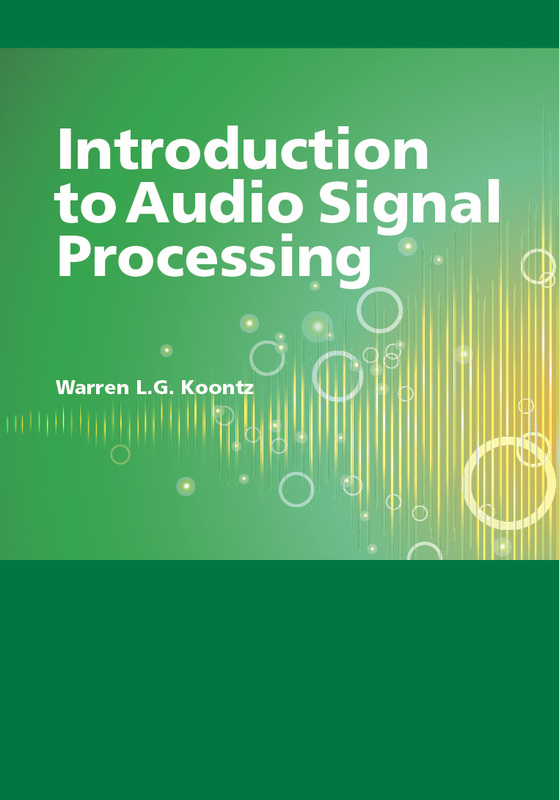 Warren Koontz provides an introduction to this important topic with an emphasis on digital audio signal processing. Starting with a basic overview of sound and analog audio signals, he proceeds through the processes of sampling and quantizing to digital audio signals. The book introduces and develops both time and frequency domain processing of digital audio signals and, in the later chapters, examines specific applications such as equalizer design, effect generation and file compression. Introduction to Audio Signal Processing will appeal to undergraduate engineering and engineering technology students. Using examples and exercises with MATLAB scripts and functions, including MATLAB streaming audio, students will be able to process audio in real time on their own PC. Warren Koontz is Professor Emeritus in the College of Applied Science and Technology at Rochester Institute of Technology. He received a B.S. degree from the University of Maryland, a M.S. degree from the Massachusetts Institute of Technology and a Ph.D. degree from Purdue University, all in electrical engineering. Koontz spent more than thirty years at Bell Laboratories developing and managing the development of digital transmission systems. After retiring from Bell Labs, he joined the faculty of the Electrical, Computer and Telecommunication Engineering Technology department at RIT where he helped create an Audio Engineering Technology option that is offered in the ECTET department. 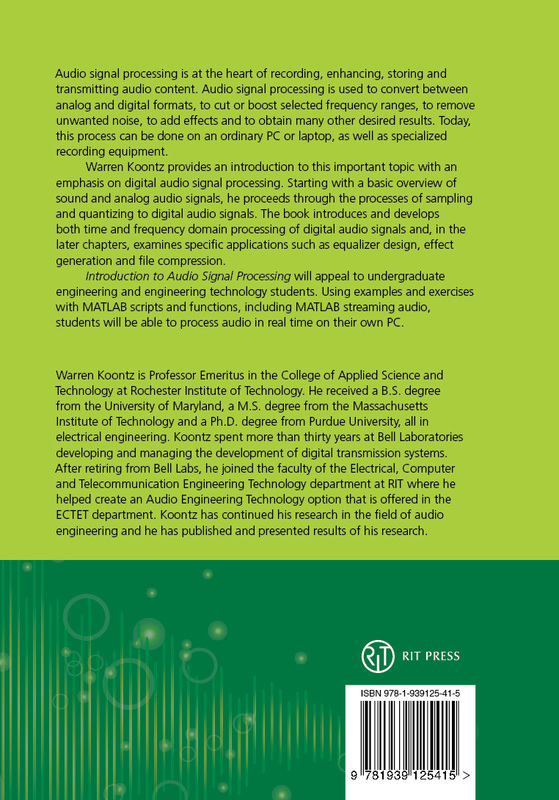 Koontz has continued his research in the field of audio engineering and he has published and presented results of his research.